Nothing screams summer more than baseball in July — especially if you can spend the afternoon or evening at Oriole Park at Camden Yards, like I recently did. Without a doubt Camden Yards is one of the most beautiful stadiums in the MLB, and even if the O’s aren’t doing so hot, there’s still plenty to enjoy and appreciate in the stadium. If you’re into stadium food, the Yard has some excellent options. They even have gluten-free and vegetarian options too. They also have a serious selection of craft beer. 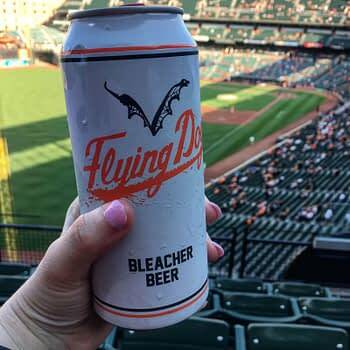 Enter Flying Dog’s Bleacher Beer. The can was what drew me in, since it looks like an Orioles jersey. This particular beer is only available in Maryland, which makes it deliciously exclusive for us (sorry, rest of America). It’s hoppy and a little dry, but overall pleasant. It’s also not overly bitter, and it has only 4.6% ABV. 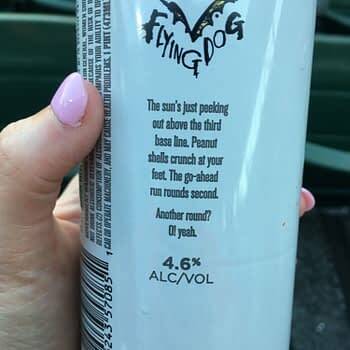 I’m not saying you should down a bunch of these, but this is the perfect beer to sip while watching baseball. Cheers! 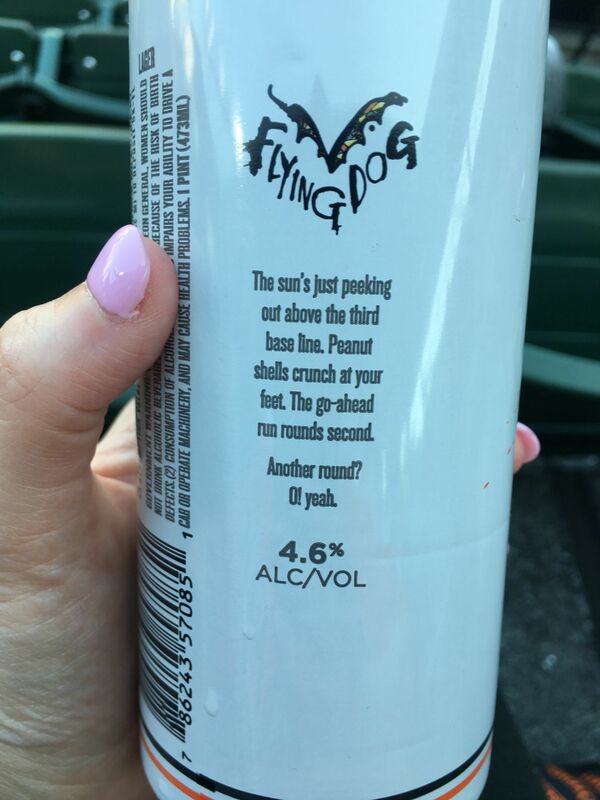 You can check if other Flying Dog brews are in your area here.